Syrian-French dancer and stage photographer based in Austria. 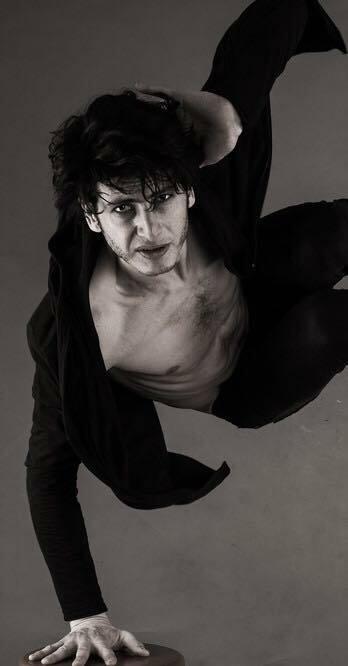 After his baccalaureate in «Arts and Literature», he began his dance career in Syria at the Higher Institute of Dramatic Arts, where he was also working with the Sima Dance Theatre Company during 2 years. He traveled around the world with this company, participating in festivals and cultural events. Then, he moved to France after 5 years, in view to study at the Rosella Hightower School, where he finished his formation graduated with the Diplôme National Supérieur du Danseur Professionnel. Meanwhile, he danced in the school company (Cannes Jeune Ballet) for 2 years. In 2011 got engaged with the Landestheater Linz, Austria, by the ballet director Jochen Ulrich (April 2011 until July 2013). And further under the direction of Mei Hong Lin at the Musiktheater Linz until September 2017. During his dance career, he joined workshops and master classes with different dancers, choreographers, and artists such as Akram Khan Company, Monte Carlo Ballet (Jean-Christophe Maillot), Wilfride PIOLLET, Adam DARIOS, Sarah JOBRAN, Jean GUIZERIX, Gaetan MORLOTTI, Henrietta HORN, Alonzo KING, and Claude BRUMACHON. In parallel with dance, Sakher started in 2011 his interest in photography and started to develop his skills passed in his experience as a dancer. Today Sakher is regularly working as a photographer after showing a unique work with stage photography at the Musiktheater Linz and works as a freelance dancer-photographer. He shares his mixed experience with both works, organizing workshops in France and Austria under the name of his Company - Photo.Artist Sakher Almonem. Brno, 19. - 22. 7. In this workshop, we will work on ideas, experiment it with dancing, to achieve a picture that tells a story. The picture itself is not the most important, but the story that each dancer will create with others to arrive at the last step (the picture). The participants of this workshop will be the subject of the pictures taken by me and will be sent to them. Please bring a book with you (will be used during the workshop).